I've been looking for a proper backup sump pump for my system for a while, so I discussed the option of a water powered backup system with Valentin since it would not require a battery to run. After some quick back and forth we were able to come up with a plan and even scheduled the next day. Valentin came by on time and was very polite and easy to talk to. He even helped me out with a few other things. The pump was installed quickly and all tests were passed before he left. I decided to go with a professional for this job and I'm glad I did. I've already recommended Strong Plumbing to 2 other family members. Great job. Thanks Valentin! I had Peter come out to fix some crumbling brick at the side of my house. He came out and gave me a very fair quote. As soon as the weather was good he was on site and the job was done quickly. Everything looks great. I was very happy with everything. I had a back door replaced by Luca. It was an old door in a 1960's bungalow. Right away I knew Luca knew what he was talking about. It started off with a conversation over the phone. He described every detail about my door setup without even seeing it yet. He followed up the next day with a visit to the house for measurements. The door and trasom was replaced very quickly and to perfection. Luca is a great guy - very polite and friendly. I can't wait to replace my front doors with him. We really appreciate your kind words. So happy you are pleased! Looking forward to install your doors! 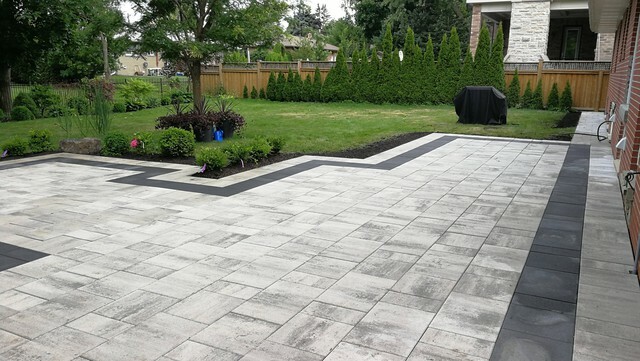 From my very first meeting with Cordell from Rock Steady Interlocking right up to the end of the project, I was amazed at the professionalism and high quality output. Quoting Process: Cordell came by at a time that was convenient for me. I never once felt rushed or pushed into signing a contract. He met my excitement levels when it came to discussing ideas. He even came up with some smart ideas that I hadn't thought of. I knew right away that Rock Steady Interlocking was going to be the company I went with. It was nice having someone listen to my ideas and help to expand on them instead of leaving all planning and design up to me. Cordell's prices were very fair and I appreciated that all details of the job were written down. Timing of Project: Once I signed the contract, Cordell came up with an estimated start date that didn't have me waiting until next year like many of the other companies. He arrived on day 1 as expected ready to begin the job. Excavation/Demolition: There was a lot of excavation that needed to happen on my project. Cordell and team were quick and clean with the work and made sure to always keep me in the loop as it progressed. 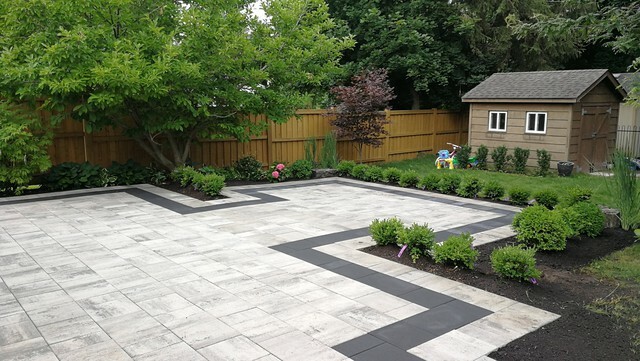 Base and Patio Installation: Cordell used all quality materials when it came to the base. He used HPB (High performance base) which is the best stuff out there. Everything was perfectly levelled to allow for proper water drainage. Once the patio slabs went down I knew I had hired the right team. Everything went down just as you would see in the magazines. Lighting: I added some additional in-stone lighting and spot lights on a few trees based on recommendations by Cordell. Everything is lit up just right to highlight everything from trees, to shrubs, to stone. Overall Experience: I couldn't be happier with my project. Everyone on the team was super polite and friendly. Everyone that sees the final work cannot stop talking about how fantastic it looks. I think that the best compliment I got was from my neighbour who was just blown away and said, "Wow! I was not expecting this! It's fantastic!". Hire Rock Steady Interlocking. Easy choice! Thank you Steve! It was a pleasure working with you and your family. Pratema and her team were excellent. Not only did they stick to their schedule but they were very fair with their pricing. Pratema made sure to go over everything and answer any concerns I had. 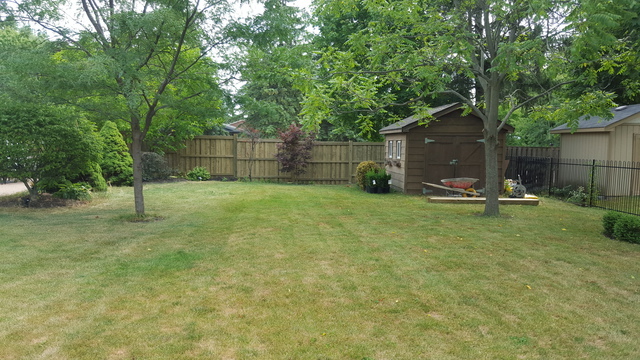 I would highly recommend First Choice Fence for any fence work. There is no need to contact anyone else. Great work! I was impressed from the very first time that I went into the store and met Tina. She explained everything that I needed for my stairs project and gave me a very fair quote on the spot. I went with Evergreen Flooring Trade for my project and I'm very glad I did. Stairs were installed quickly and with no delays. Excellent communication with Tina throughout the process. Would definitely recommend them to anyone. Had problems with my old opener. 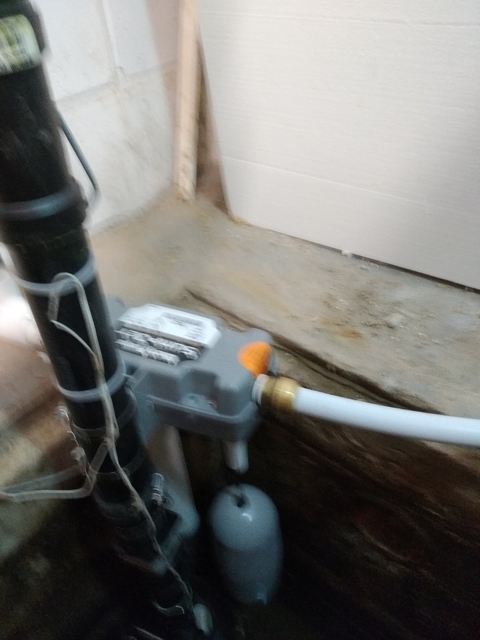 Contacted Chris and he was able to come out and check it (for free) and then install a replacement opener very quickly. I was very happy with Chris and his team. True professionals. All work was done to my satisfaction. In fact, better than what I expected. I would definitely recommend him to anyone who needs work done. You won't be disappointed. Larry came over to quote me on upgrading my waterservice from 1/2" to 1" main. Was able to do the job quickly and at the quoted price. Would definitely recommend him.